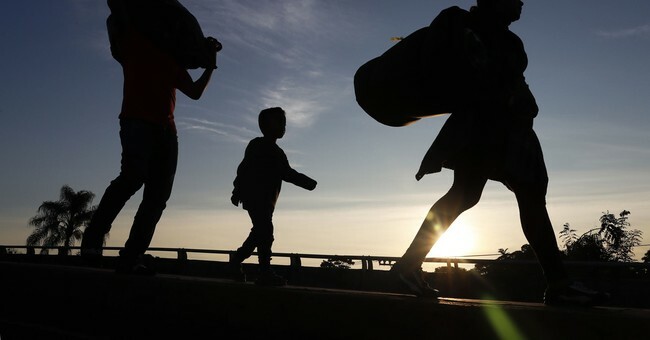 A California National Guardsman Reservist was arrested and charged with human trafficking for smuggling illegal aliens across the United States-Mexico border for financial gain, USA Today reported. National Guardsman Private First Class Edward Jair Acosta-Avila was arrested on Nov. 10th when he was stopped by immigration and custom enforcement (ICE) agents pulled him over just two miles north of the southern border in Otay Mesa, the Army Times reported. That's when agents discovered three illegal aliens hiding under a blanket in the back seat of Acosta-Avila's car. Acosta-Avila and the passenger, both U.S. citizens, were arrested and charged with human trafficking in federal court. The guardsman and his passenger said they planned to split the $400 they were given to shuttle the illegal aliens across the border. The three illegal aliens, who are of Mexican decent, said they made arrangements to pay between $6,000 and $7,000 to get to the United States. Federal authorities plan to hold the illegal aliens so they can serve as witnesses in the case against Acosta-Avila and his passenger. Once the case is over they will be deported back to Mexico, Fox 5 reported. According to USA Today, Acosta-Avila was facing pending charges for being absent without leave (AWOL) at the time of his arrest. The guardsman was not part of the 2,100 National Guardsmen currently stationed at the United States-Mexico border awaiting the arrival of Central American caravan riders who hope to make it to America, NBC 7 reported.